In case you’re not quite feeling the forced-fake-Asian thing I’ve got going on, I’ve made you a steak salad. Because I want you to be you, you know. And also steak salads are delicious. 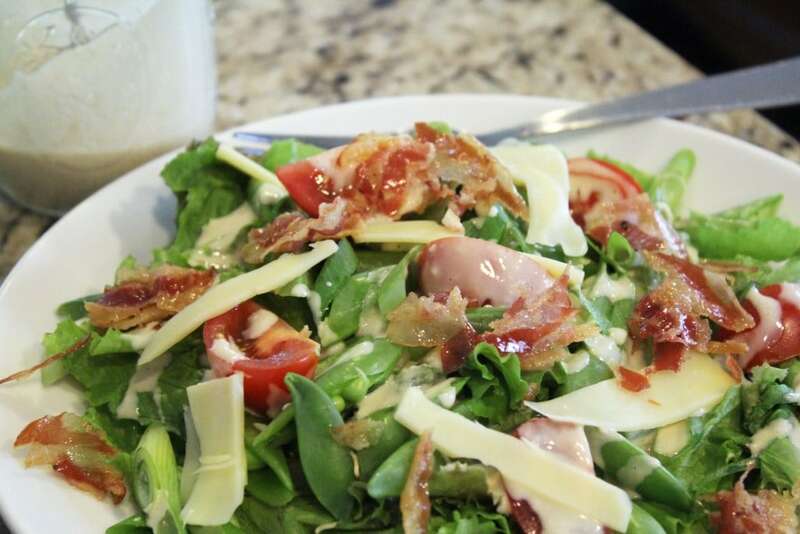 I made this in conjunction with the crispy prosciutto salad I showed you the other day. BASICALLY, I had some of this leftover steak that I really didn’t want to waste, then I made buttered bread, which is Jay’s new favorite thing ever even though he barely allows himself to eat it because he’s really well behaved. For the bread, you get some shi**y grocery store bakery bread, and melt some butter over medium heat in a pan. Then you put the bread in and flip it quickly so both sides absorb some butter. Then you let it cook for 3 minutes or so on each side until it’s BARELY GOLDEN and then you eat it. Seriously. It’s a really good way to make bread. So, this salad was just using up things I had in the fridge, but it actually worked really well. The salad with sweet snap peas and salty prosciutto made a great bed for this lemon rosemary steak, leftover, thinly sliced. I topped the whole thing with lemon tahini dressing which was LOVELY because it paired so well with the lemon zest in the steak. 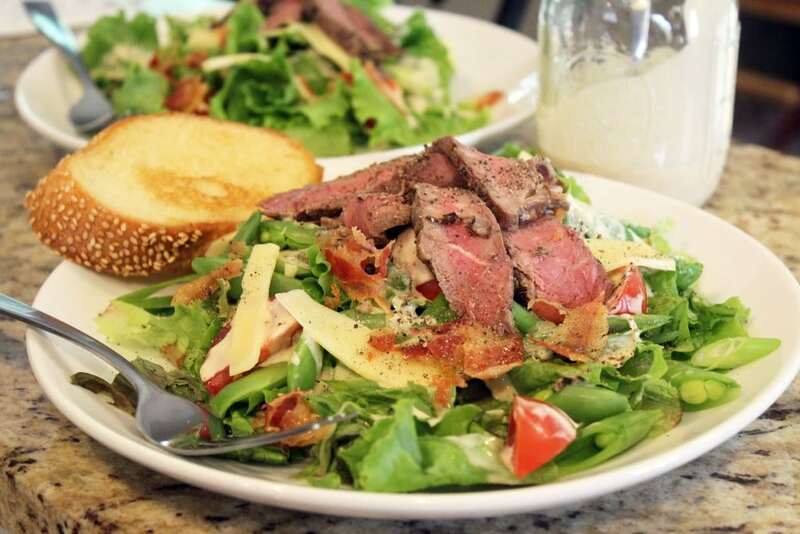 If you’re feeling up for making some steak, some dressing, and toasting some buttered bread, I’d HIGHLY recommend this salad for dinner tonight. You won’t regret it!